As we began clearing out space for the new Milne Ocean Science and Conservation Center, we kept our mission in mind when it came time to put up our grand holiday tree. Keeping conservation at the forefront of our seasonal decor, we decided to use a tree from our own plot of land where construction for the new Center will begin in 2018. The natural evergreen has a beautiful story to tell with it's unkempt limbs, wild collection of pine cones and height towering over 18 feet above all who gaze upon this Aquarium holiday icon. 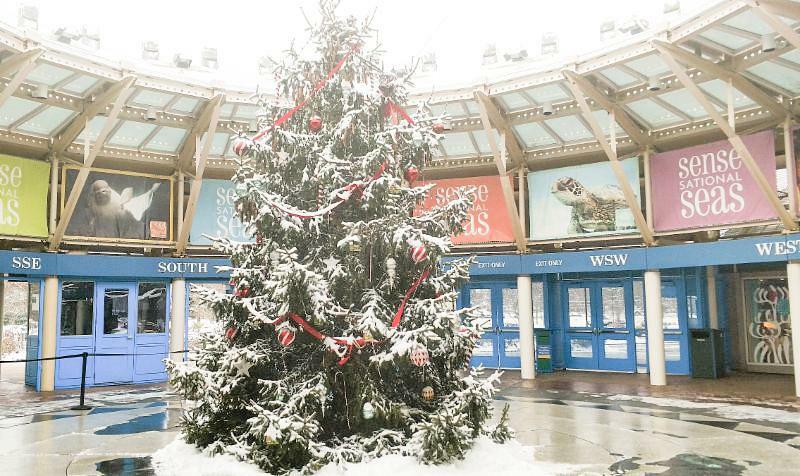 When visiting with us this holiday season, be sure to take a close look at our tree as you first enter our gates. We are sure you'll appreciate the unique history of this tree as much as the staff here at Mystic Aquarium. Animal Spotlight: Rudolph the Red-Nosed Reindeer! Rudolph, the holiday reindeer most famously known for his shiny red nose, is a land-dwelling mammal with special adaptations. A combination of holiday spirit, happiness and good cheer allow him to actually fly high in the sky, guiding Santa's sleigh through the night. His diet consists of carrots (so many carrots!) and an occasional cookie treat. When Rudolph isn't bulking up for his busy season, he spends time at the North Pole playing reindeer games with the rest of the deer. 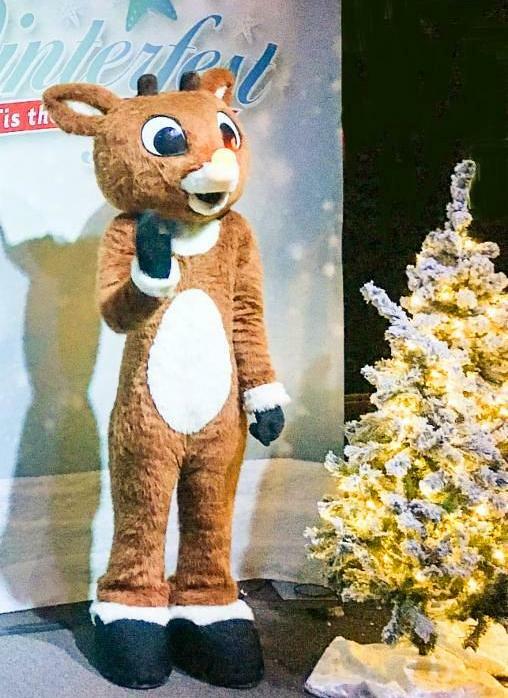 Come meet Rudolph every weekend in December at Mystic Aquarium as he takes a well-deserved break with us during Winterfest with Rudolph and Friends! Who can resist the waddle of a penguin, the bark of a sea lion or the reach of an octopus? If you're anything like us (and we know you are! ), we are tireless in our efforts to care for and protect the species here at the Aquarium as well as their counterparts in the wild. Through our new and improved Animal Parent program, you too can support these efforts. As a loving Animal Parent, you can symbolically adopt a seal, sea lion, sea turtle, beluga, penguin or octopus. With adoption levels starting at $75, benefits may include a certificate of adoption, facts about your adopted species and a plush animal. There is no better way to get involved with the conservation of a species than by adoption through Animal Parent. 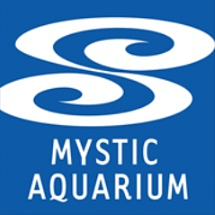 Symbolically adopt an animal today by emailing development@mysticaquarium.org. Animal adventures, close encounters, hands-on discoveries, spectacular events and so much more - how do you fit all of this under the tree? 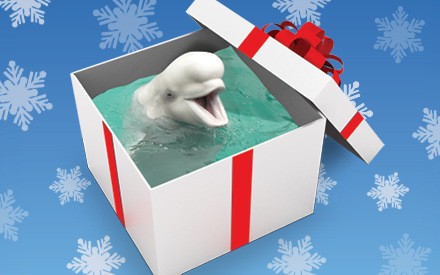 With a membership to Mystic Aquarium! 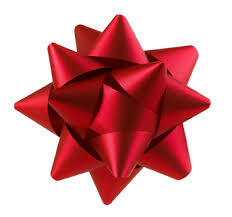 This holiday season; give the gift that gives back all year long with unlimited visits, free 4-D Theater shows, exclusive member-only perks, previews, parties and more. There is no better way to experience the Aquarium than as a member.